Since 1984, Bi-County Landscaping has provided quality landscape services to our customers, specializing in landscape design and remodeling. We provide our clients with professionalism and expertise, from initial contact to completion of your project. Our extensive list of services will help you transform your yard in ways both big and small. If you’re looking for a landscape designer in Clarksville, TN that can provide you with custom landscape design, precise landscape management and encompassing oversight for all of your foliage, the answer is Bi-County Landscaping. Our team offers comprehensive design and installation work for residential and commercial landscapes, including seeding and sodding, shrub and small plant work, hardscaping and construction for retaining walls and patios. Whether you’re looking to increase the aesthetic and value of your property or you’re transforming it into a useful, versatile space, trust in our ability to help you. 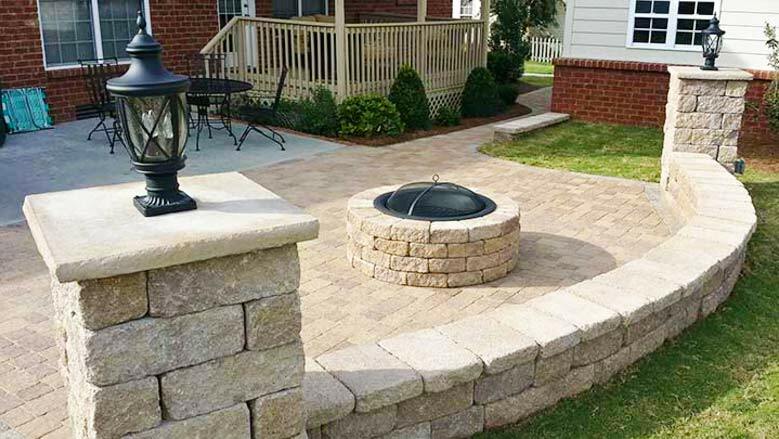 Our landscape and hardscaping services in Clarksville, TN are backed by years of experience and a tenured team that takes pride in the work they do. Our landscape experts take the time to sit down and speak with you about your vision for a complete landscape, while working to advise and recommend options that parallel your needs and wants. When we get to work on your landscape, customer satisfaction is always at the front of our minds, and it’s evident in the work we do. We invite you to get in touch with us today and see why, for decades, customers have continued to call us for their every landscaping need. We’re a proud members of the Better Business Bureau (BBB). We’re a locally-owned and –operated company, serving Clarksville, TN and the surrounding area cities and towns, within a 50-mile radius. Our team is Allan Block Certified. We’re pleased to serve both residential and commercial customers. We offer reasonable prices and provide free estimates on service to all prospective customers. Looking to make sure your lawn stands out as the best on the block? Get in touch with our team today to learn more about the many landscape services we’re pleased to provide. "Several projects have been completed at our house - walkways, four retaining walls, installing a fireplace, patio, & fire pit, planting bush..."
"Russ and his team of professionals have completed several projects for us, each when completed shows their intense attention to detail and q..."